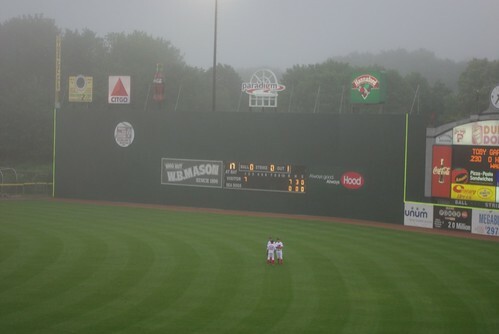 For national weather watchers, and New England blog-readers, you may have heard that it was a damp June here in Maine. 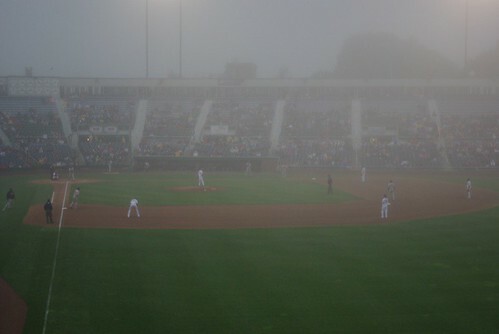 We pretty much had mist, fog, or rain every day for the last three weeks of the month. 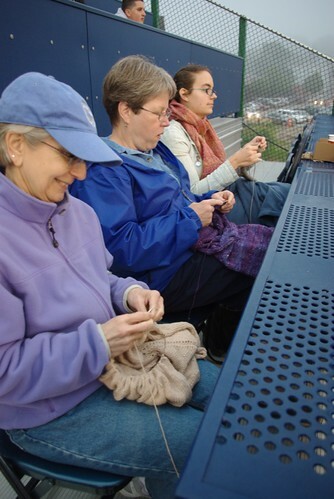 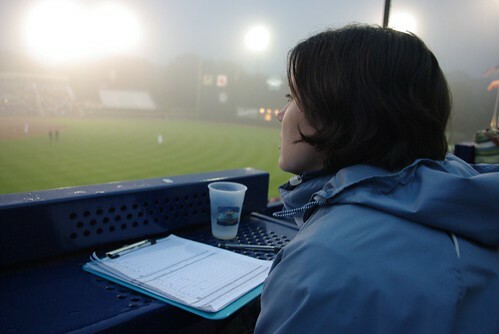 A little fog didn't keep six brave knitting souls from attempting a stitch n' pitch at Hadlock Field this past Tuesday. 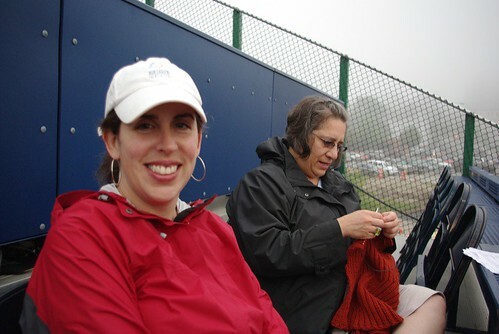 By the middle of the first inning we had seven runs against us, one out and a reliever pitcher, we never rallyed as hoped (I've yet to ever see the Seadogs win a game), but despite the weather I had a great time. 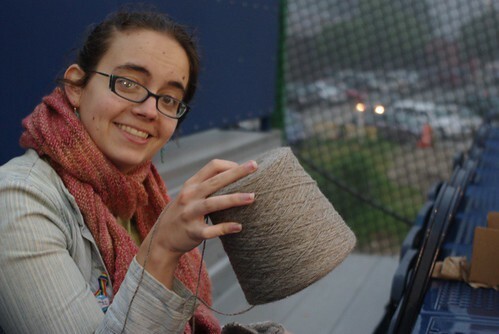 It's July now and it looks like we'll be getting more sun, and there are more plans to knit outside, so fingers crossed!